Apple has given a straight-to-series order for a psychological thriller written by Tony Basgallop and produced by M. Night Shyamalan, known for movies like "Signs," "Sixth Sense," "Unbreakable," "The Village," and "Split." According to Variety, Apple isn't sharing details on the show at this time, but the company has ordered 10 half-hour episodes. In addition to executive producing, Shyamalan will direct the first episode of the series. Basgallop, the writer for the show, has previously worked on series like "24: Legacy," "Berlin Station," "What Remains," "EastEnders," and "Hotel Babylon." 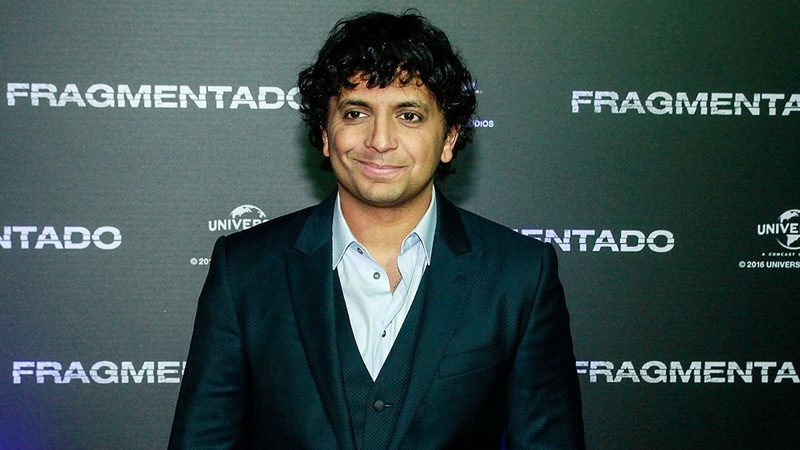 The new TV series for Apple will be Shyamalan's second TV show following "Wayward Pines," a science fiction show that focused on a series of mysteries and disappearances in the small town of Wayward Pines, Idaho. The cancellation of "Wayward Pines," which ran for two seasons in 2015 and 2016, was just announced yesterday. Apple has a long list of television shows that are currently in development, and this new psychological thriller marks the 11th show that we know about. Other TV shows Apple is working on include an untitled morning show drama starring Jennifer Aniston and Reese Witherspoon, an "Amazing Stories" reboot from Steven Spielberg, an untitled space drama from Battlestar Galactica creator Ronald D. Moore, a series written by "La La Land" creator Damien Chazelle, a Kristen Wiig comedy series, See, an epic world-building drama, Home, a docuseries focusing on incredible homes, "Little America," an anthology series from "The Big Sick" creators Kumail Nanjiani and Emily V. Gordon, and Swagger, a drama based on the early life and career of NBA star Kevin Durant. He hasn't done a good movie since the Sixth Sense. How is this guy allowed to still make stuff? produced by M. Night Shyamalan, known for movies like "Signs," "Sixth Sense," "Unbreakable," "The Village," and "Split." Yeah, let's just leave out the decade of steaming piles he directed between The Village and Split. Honestly, if you're going to do that, you should probably leave The Village off as well. And possibly even Signs. Frankly, I don't care how good Sixth Sense was or how redeeming Split was, his track record is abysmal. I'm not holding out much hope, but I'd like to see the HomePod as a central character. It's clear by the continuing careers of M. Night Shamalyan, Tyler Perry, Adam Sandler and Michael Bay that they'll let any idiot make a movie. The only twist ending here is that M. Night still has a career. After Avatar, Last airbender, he should just be banned from making movies ever again! What’s next? Apple hires Paris Hilton to produce another homemade movie???? The name M. Night Shyamalan pretty much guarantees it will be bad. He made 1.5 good films, then never delivered again. Unbreakable, The Village, Signs and The Visit were good. Even The Happening, Spl-t and Lady in the Water weren't bad. I don't know why people seem to hate him so much these days.